The softball team faced off against the University of Illinois-Chicago Flames this weekend in a three game series. The Golden Grizzlies won both games of the Saturday doubleheader, and won the series 2-1. After a 10-0 loss on Friday, the team rebounded to win the early game 7-6 and the later game by a 5-0 margin. In the closeout game, Lauren DeBono pitched a seven inning shutout, only allowing three total hits. This win moved her record on the season to 3-2. In addition to only allowing three hits, she struck out seven batters and only walked two. The Golden Grizzlies got all of their offense in this closeout game from Jamie Squires and Mikayela Marciniak. Both scored two runs, and Squires was able to reach home on a wild pitch for the fifth run of the game. Squires went 2-2 at the plate, and Marciniak went 2-3. This win gave the softball team their first series win in Horizon League play this year. Prior to this series the team was 1-7 in conference play, and after the series win their record was improved to 3-8 on the season. 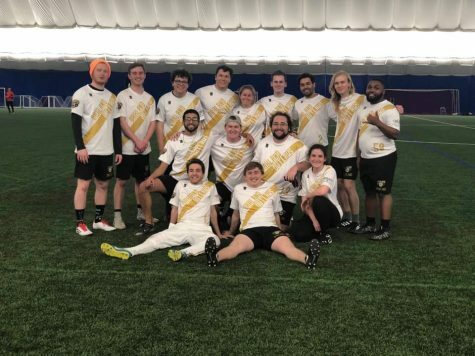 They resume Horizon League play after a Tuesday doubleheader against Toledo when they travel to Indianapolis to take on the Indiana University-Purdue University Indianapolis (IUPUI) Jaguars this weekend. The Jaguars are 6-1 in league play, and currently the No. 1 team in the Horizon League. Beau Keathley struck out eight batters and only allowed one hit as the baseball team closed out a weekend series against the Milwaukee Panthers. 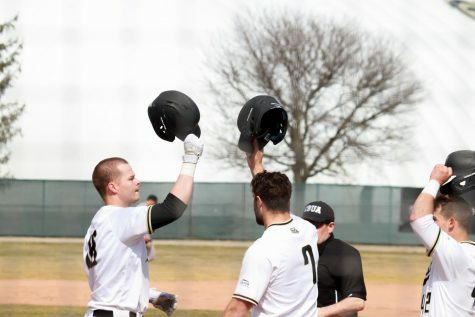 The 3-1 victory closed out the third straight series victory in Horizon League play for the Oakland baseball team. Despite giving up one run, Keathley still was credited for zero earned runs, as the lone Milwaukee run scored in the sixth inning was unearned. He pitched seven innings before turning it over to Austin Sherry, who closed the door on the Panthers, allowing zero hits and striking out four batters, which earned him his second save of the season. Myles Zilinsky carried the load offensively for Oakland, recording two RBIs on a walk and a single. Blake Griffith also scored a run on a walk, one of five walks that Milwaukee starting pitcher Mike Edwards gave up. 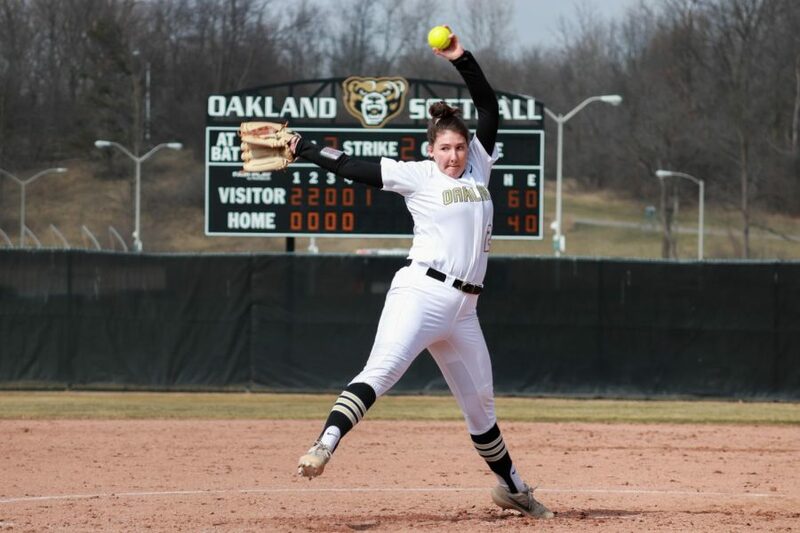 The next opponent for the Golden Grizzlies is Wright State University, as the team travels to Dayton to take on the Raiders in another Horizon League series. 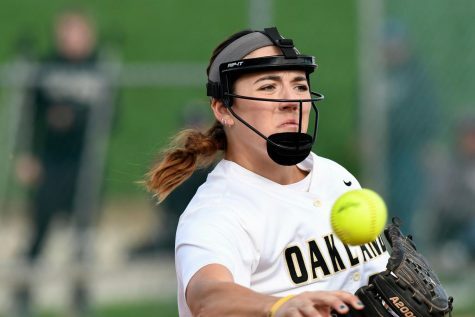 Oakland will look to win their fourth straight series against a Horizon League opponent. The women’s golf team traveled to Bowling Green to take place in the Dolores Black Falcon Invitational. The golf team was able to take first place at the event, scoring an event-low 592, good for +16 on the weekend. Maddie Zack, Veronica Haque and Alexis Jones led the golf team to a first place finish, all scoring under a 150 in the two-round invitational. Zack shot the lowest score for the team, recording a 71 in the second round. Her 71 was tied for the best round of any golfer in both rounds. The golf team looks to take this momentum into the Horizon League championship, which starts Friday, April 21 and ends Sunday, April 23.